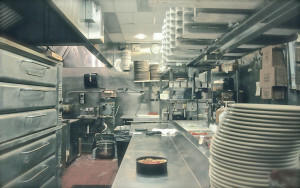 Fats, oils, and grease (FOG) are primarily generated by restaurants and other institutional food service establishments. They are major contributors to municipal wastewater (sewer) collection system blockages, estimated by USEPA to cause just over 50% of all sanitary sewer overflows (SSO). Municipalities that collect overflow data have reported FOG to be the cause of as much as 70%, and in one case 90%, of the SSOs. As the environmental community moves to more stringently manage FOG, it is essential to work toward a comprehensive and robust FOG management program. This section is intended to provide resources to help municipalities and POTWs develop and/or enhance their FOG program. The SUO is a vital first step in dealing with waste water discharges. The SUO provides the legal authority to condition or prohibit discharges, to control discharges through permitting, to require periodic reports, to inspect non-domestic facilities and to take enforcement action. The Sewer Use Ordinance page contains factors that should be regulated in an SUO, as well as draft SUOs and samples from other municipalities. This booklet contains excellent sewer and stormwater information and is designed to be a handout to FSEs. It was developed by Clean Water Services (Washington County, Oregon) and they will provide this file on request to programs that wish to insert their own contact information and distribute the booklet locally. Since this was created in Oregon, it is based on the Oregon Specialty Plumbing Code, so you’ll want to ensure that any code information accurately reflects your requirements. The CMOM checklist is a way to take a quick look at the program elements or to benchmark program performance. A more thorough look at program details can be found here.